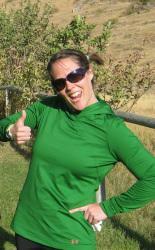 I am originally from Buffalo, WY and am currently a trainer in Williston, ND. I love helping my clients achieve accomplishments they never thought possible. Much of my time is spent enjoying outdoor activities with my dog Lucy! I also have an amazing husband whose support I appreciate immensely.